this post is gonna be much longer than my past updates, but it’s honest. please keep in mind i’m still a HUGE fan of water-only washing when you read this! it seems like i’m discouraged (kind of) BUT i’m sticking to my guns! so this time around was really weird…. i water-only washed for the first that monday night. to “wash” my hair, i stood under the warm shower water and rubbed my scalp all over in small circles. 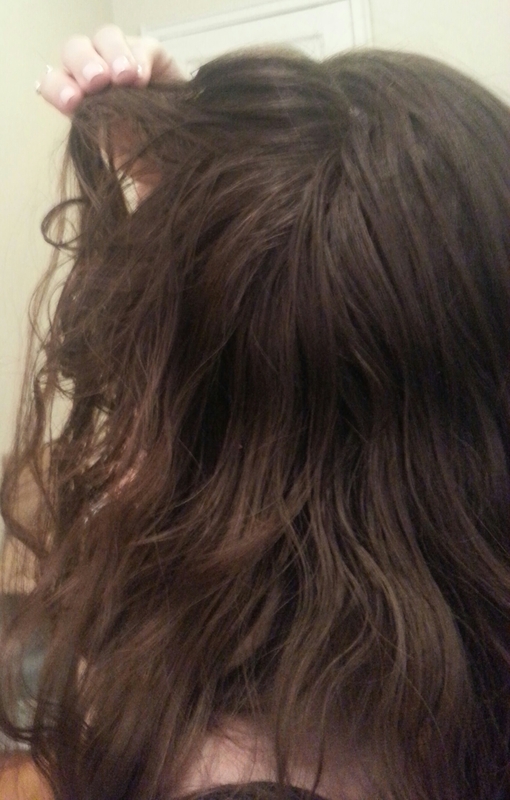 after i was out and my hair air dried, i only had that clumpy grease feeling in the back of my hair. so i thought “whatever. i’ll just rinse better next time and my scalp can deal with itself…” lol. i didn’t do anything about it. so before i went to bed, i used my bbb for twice as long as i usually do. then i woke up with less greasy hair. thanks, bbb ❤ it was still on the gready side, so i used a TINY amount of dry shampoo. then i went about my life, loving how low maintenance and hippie my hair is for the next 3ish days. then i REALLY needed to do something. i’m quite certain that greaseball head doesn’t scream “i’m successful at life” in the office. so, i used dry shampoo before work and went about my day with voluminous hair. then that day and the days after, i had SO many fly-aways. SO many. it looked like i just hadn’t brushed my hair in days (well. i hadn’t. but you know what i mean, right?). and to top it all off, my hair was getting that “heavy” feeling from the grease. so the day before yesterday, i broke down and washed with water only again…so about a week later, instead of 2.
the day after i washed (yesterday), my hair was SO greasy in the back. the front was golden. it was soft and grease-free. but the back….and the underside…. it looked like i put too much leave in conditioner in or something. idk. so what did i do? 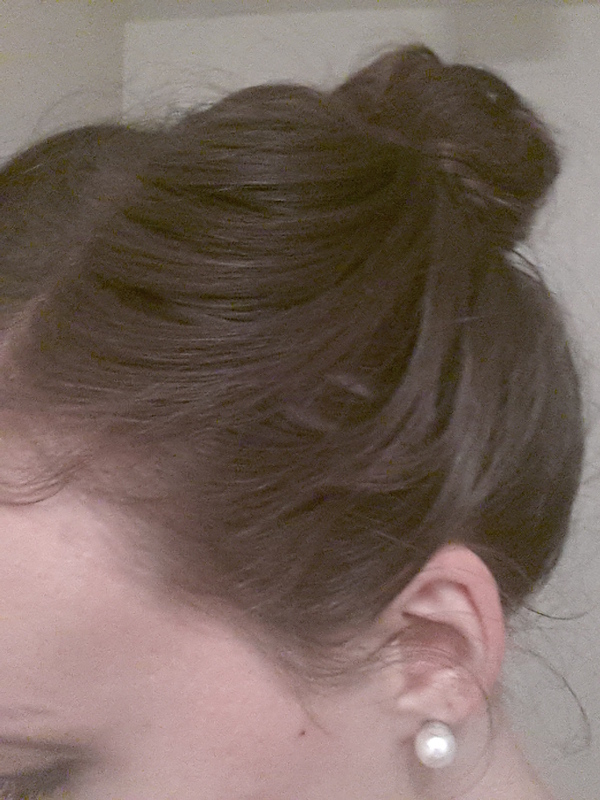 told my hair to deal with itself faster and threw it up in a bun. when i got home from work, i couldn’t take the grease anymore! iiiiiiii couldn’t take it. i think that says a lot, coming from the girl that wants to only wash her hair once every few weeks lol. so i gave in and washed it with only water again last night. it helped, but it’s still not where i want to be. verdict- the FULL transition to water-only wasn’t as smooth as i thought. it might also have a lot to do with the fact that i love sleeping in summer weather. it drives my matt insane because he loves having a fan on him while he sleeps, and i’ll use a full on comforter in the middle of the summer. clearly from the grease ball i am, my scalp wasn’t my biggest fan the past couple weeks. about “washing my hair”— guys. i didn’t realize how much work it’d be. haha. i was rubbing and rubbing and rubbing and rubbing… and my arms were getting tired, and my neck hurt because my hair was entirely too heavy. i had to ‘fold’ my hair over my shoulders to keep the weight off my neck while i tried to scrub my scalp with water lol. at one point, i got so fed up with it that i stopped and just stood there staring at my castile soap mix. but i didn’t use it! i didn’t! after my third water-only wash…blegh. the top is okay… the underside…grease city! wish me luck at work today! 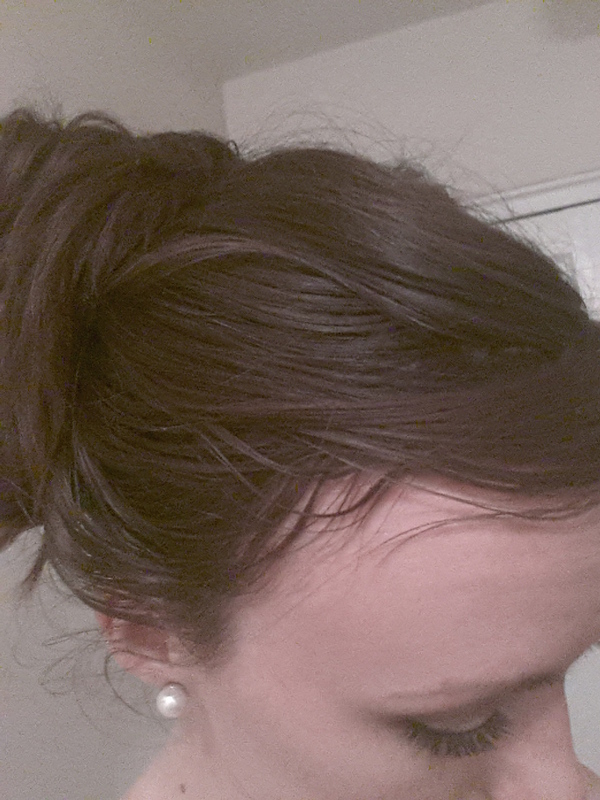 but when i think about it, i haven’t washed my hair with any sort of no-poo in almost exactly 1 month! it’s been either nothing or water for almost 4 weeks. so i’m a little more okay with where i’m at. anyone else still tryin to chug through that transition period? i’m right there with y’all! hey keri! thanks for reaching out. were you looking to jump in cold turkey or let your hair slowly adjust over time? i was no-poo when i transitioned and it took me a few months. but i was also dealing with hard water, which was my worst enemy haha. if you are okay with slowly transitioning, you can use egg yolk washes every other week to help clean the excess build-up. you can also try acv rinses weekly to help cut through the extra grease. i’ve found that ROM is challenging yet rewarding! let me know if i can help with anything else! Don’t give up. I had similar issues when I tried to jump too quickly to ROM. Take a step back, go back to what you were doing before (baking soda, egg, diluted castile soap, etc), but try to go 1 or 2 days longer between washes than last time. Once you get to a week or more, start doing ROM in between, push it longer and longer. Soon you won’t even need the other washes. This whole process takes time. This is a change that will last you a lifetime, so it taking a few months or a year longer than you thought, it is okay. I started no-poo about 2 years ago. I was washing every 4 days with baking soda and water with an ACV rinse with using a BBB. I was trying to extend an extra day as often as I could. I did this for about a year. Somewhere in that year, my hair started to get collect so much static electricity. I was so frustrated. I sometimes replaced my baking soda wash with an aloe vera or yogurt and egg wash. They were nice, made my hair less staticy. I reduced and reduced and reduce the amount of baking soda until it was like I was only using water, and my hair built up so much grease. I finally decided that I had to give up on the baking soda completely, it wasn’t working for my hair, it just kept drying it out. I found info about using just egg yolk and water. This did the trick for me. I paired it with with an ACV rinse I did my best to keep this to 2x a month, to reduce protein build up (that is what everyone seems to recommend). In between I would do ROM or ACV rinse. In cases of emergency, I would do an extra egg wash. My hair seemed fine. 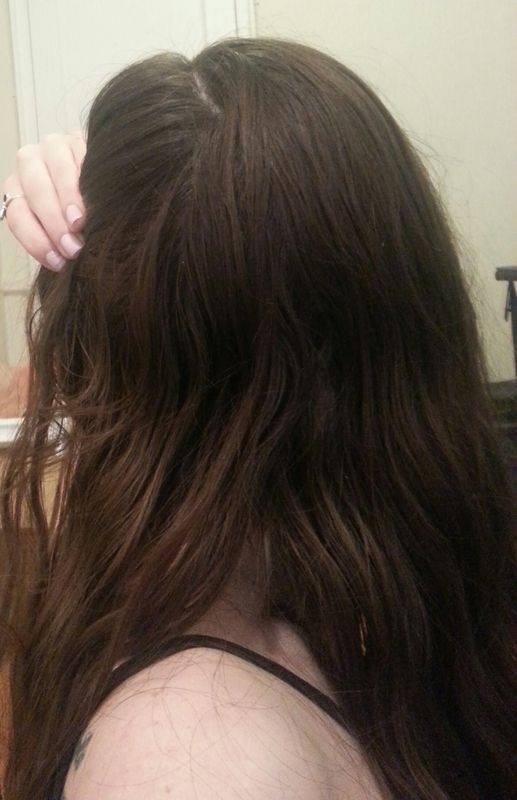 I am now doing ROM every 2-3 days (my hair starts to get a tiny bit greasy after about 3 days, but scrubbing with water gets it out), and it has been a month since my last egg/ACV treatment. My hair is so soft, so manageable, so shiny. I keep waiting for the day when after my ROM my hair seems too greasy, and I need to do the egg wash, but so far so good. I won’t be sad to have to wash with egg again. The moral of that long story is, it takes patience and experimentation to find out what works for your hair. It isn’t the same for everyone. Stick to what is working and try to stretch it out, one day at a time. If you have an emergency greasy day, do what you need to feel comfortable. I just want to say that today I almost gave in and used the bs rinse. But I thought better and decided against it. My curly hair is healthier and better looking than it has been for as long as I can remember, other than a little frizz which is a lot less than I’m used to. I’m a complete grease ball and the rope of my head is sticky when I touch it. I’ve been ROM for more than a month now and man is it frustrating. But I keep chugging along. I brushed my hair with my wooden paddle brush and BBB three times tonight and it helped a bit. I’m gonna wash it with water in the morning and hopefully that helps. Gah so frustrating but I know it’s worth it. My hair has grown almost 2 inches since switching from normal shampoo and conditioner to bs/acv rinse to ROM. Plus my curls look heavenly! wow! I know it’s worth it, I just wish this transition was over with already. How long was your transition period in total? I am doing water-only now. On Wednesday (as in 2 days from now), I’ll be at the 4 week mark of using nothing but water and vigorous massaging/bbb. I had the same experience that you described with the front adjusting first and the back/underside looking like grease city no matter what. I was doing baking soda/ACV for a few months before deciding to take the plunge into water-only. Now, I find that if I don’t “wash” every day, the grease is out of control. But even then, it doesn’t look clean. I keep telling myself to push through it! I’m hopeful that gorgeous, healthy, low-maintenance hair is on the other end of this. Also, did you notice your ends starting to get dry during the transition? Could be that I’m just not brushing enough to get the sebum down through the length.